styria digital one (sd one), Austria’s leading digital online marketing association, today revealed that the Austrian news site Die Presse, which is part of sd one’s portfolio, has increased its pre-roll instream video inventory across its site from 300,000 advertising impressions in 2016, to over 31m in 2018. Die Presse integrated the technology platform ‘vi stories’ to automatically deliver contextual video content that matches page content. Die Presse then delivers pre-roll instream advertising before the video content. The content delivered by the platform comes from providers such as Euronews, Endemol Shine and Bloomberg. styria digital one is now undergoing roll-out of vi stories on other sites such as Miss and Kleine Zeitung. Other publishers using vi stories now include IDG, Bonnier and Turner. 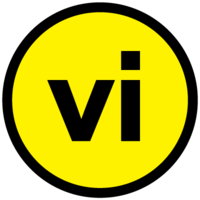 vi is a contextual video platform, connecting publishers, content creators and brands through video storytelling.